Anyway, this week there isn’t anything particularly special about our spending. In addition to the most perfect loaf of bread we picked up in the city, we went to Trader’s on our trip home, bought a handful of things that tickled our fancy (with the plan to go to the store again later in the week) and that was that. Threw together a greens-grains-beans bowl last night (kale, Bulgar, and chickpeas) and voila! Instead, this week its a special Money Saving Monday. A little over a month ago, Emily Levenson, the fab gal behind Project: Food Budget, contacted me to see if I would review her new e-book, Eat More, Spend Less. Of course I said yes immediately. I truly loved doing P:FB, both for the challenge and the community. I learned so much about couponing, self-discipline, meal-planning, my spending habits and motivations, and just being a savvy shopper. These are the pieces I did my best to weave throughout my P:FB narrative, to inspire you and record my journey. Therefore, I knew that Emily’s e-book would be a summary of all of that. And in this case, I was right. Eat More, Spend Less (EMSL) is the perfect beginner’s guide to food budgeting. Emily writes with both humor and grace, encouraging readers to have fun with this process and also to forgive themselves on weeks that aren’t “perfect.” The guide, however, is also a great reminder for those of us who’ve been budgeting for a while now. Though most of the information was not new to me, it was still good to see so many of hte lessons I’ve learned compiled into one quick read. At 29 pages, EMSL is concise and straightforward, all the while providing a plethora of important details and tools. It is this very mix that makes the book so awesome. Emily doesn’t just provide instructions on how to, say, set your budget or meal plan, she provides worksheets and examples that guide you through the process. On ever page I felt like Emily was a spending-savvy girlfriend, guiding me through the maze of food budgeting with patience and without judgment. Setting the Stage provides info on why budgeting is important and how it changed Emily’s life. Setting a Budget takes you through the steps to choosing a realistic budget you can (mostly) stick to. Budgeting Tools are the nitty gritty of the book and include tips and tricks for staying on-budget. Budget-Friendly Meals offers guidance on stocking your pantry and a lot more detail on meal planning. Resources include websites and books that will make this process more automatic and simple. Appendix has all your worksheets (tracking your budget, weekly meal plan, etc). Rather than just give you this information, Emily really narrates a story, one that is directed right at the reader (hence that whole “it feels like I’m hanging with my bestie” vibe). She doesn’t just write about the benefits of food budgeting, but shares her personal experiences and challenges with it. The book really goes beyond the basic and heavily discussed ideas about the topic and delves into some reasons that you might not immediately think of. For example, Emily writes that food budgeting can help build your self-esteem. Though this wasn’t something I was actively aware of in my own adventures, once I read it I realized that, indeed, setting and rising to a challenge each week was really confidence-boosting! To that end, I also appreciate the Emily does not shy away from the fact that whenever we’re talking about money, a lot of ‘stuff’ can come up – anger, resentment, guilt, etc. This fact is acknowledged and the reader is reminded that this is both normal and ok. In the same spirit, the ‘Tools’ section begins with all your basic, budgeting 101-esque advice. Meal plan, use a shopping list, buy food in season. But slowly it shifts to more novel ideas like working splurges into your budget and finding an accountability buddy. Though unconventional, these tips are so important and vital for budgeting success. Having my P:FB family was so key for those weeks when I felt I had totally failed or when I just wanted to forget about my budget and go a little cray at the supermarket. Splurging–on things I’d normally make at home (e.g. hummus) or dessert or the brand I really love–also helps budgeting to feel less restrictive. And this, ladies and gents, is the second major theme of the book: budgeting does not have to hurt (too much). Splurges are good if they are planned. Going over is ok as long as your overall trajectory is towards spending less. So on and so forth. Overall, I’d highly recommend EMSL for anyone who is interested in learning more about food budgeting and/or beginning to budget for themselves. Between it’s ‘girlfriend guide’ tone and guilt-free message, its the perfect book for exploring the world of saving money on what you eat. For those who have been in the budgeting world for a while, it might not offer too much new information. However, as a refresher it is definitely ideal because it reminds readers so well of why they started to budget and what is so awesome about it. Plus its a gentle nudge to go back to those basic tools that work oh-so-well. Thank you to Emily for the chance to review this new book and remember why I love couponing and budgeting. And a special shout-out to my P:FB comrades for all of their continued inspiration and motivation. You all rock! All views expressed in this post are my own. A copy of EMSL was provided in exchange for writing a review. Now that I’m back, it’s time I do a little catch-up. So let’s talk one of my favorite topics: food! Far too long ago, the wonderful folks at Nature’s Path sent me some of their newest product: Qi’a™ Superfood Breakfast Cereal. At this point I don’t even remember how I found out about Qi’a but I do remember being ridiculously excited and eager to try it. “Nature’s Path is a family run, independent company that has been committed to organics and sustainability for over 25 years. Our goal is to be a trusted name for quality organic foods in every home – socially responsible, environmentally sustainable and financially viable. We are the number one producer of organic cereals in North America, with products ranging from breakfast cereals, granola, granola bars and waffles. 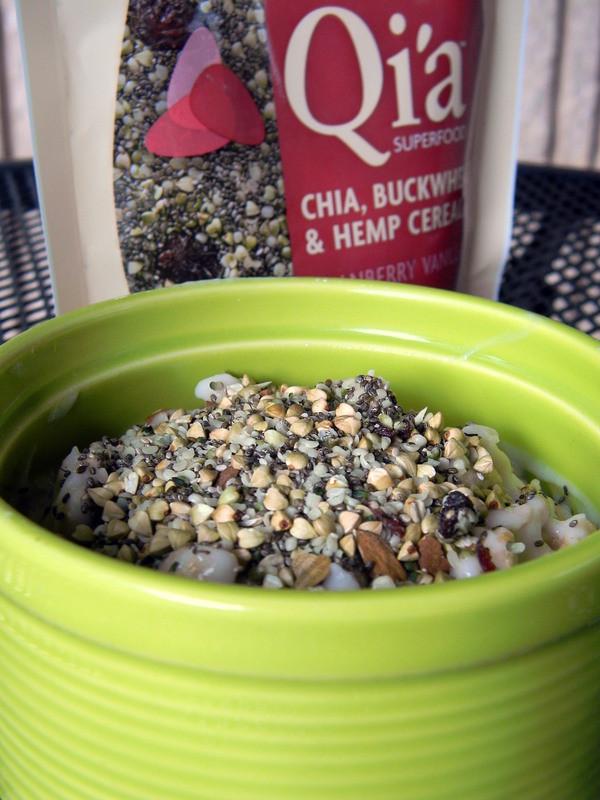 Qi’a (pronounced KEE-ah) is made from three nutrition superstars: chia, hemp, and buckwheat. In other woods, each 2 Tbsp serving is chock full of plant-based goodness like protein (6 g), fiber (4g), iron, calcium, and Omega-3 fatty acids. It’s also ridiculously low in sugar, ranging from 0-3g depending on the flavor. Speaking of flavors, what are your options? Well, you’ve got three: Original (og sugar), Apple Cinnamon (3g), and Cranberry Vanilla (3g). You can probably tell by the above 2 photos which flavor I received. Just in case, here’s another close-up (and my favorite photo from this shoot). 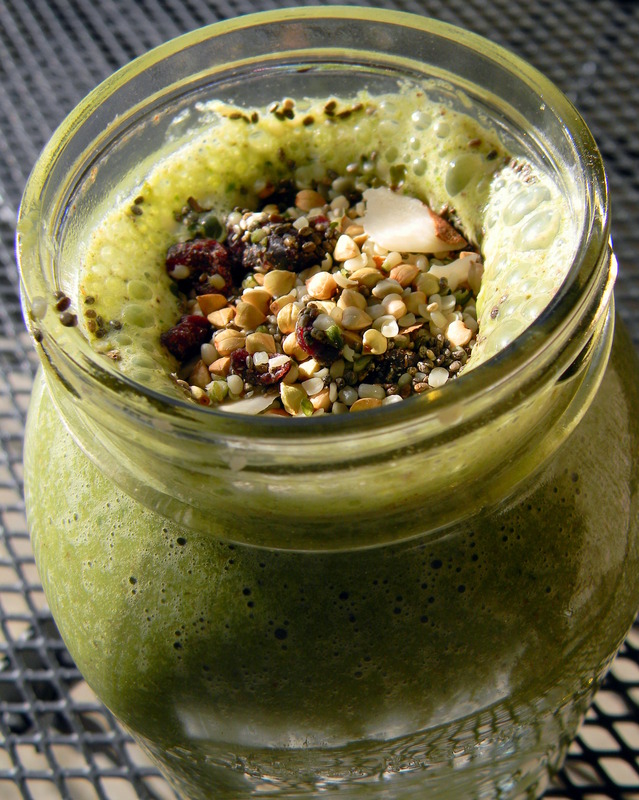 The idea with Qi’a is that you mix 2 Tbsp with milk and let it gel, similar to chia pudding. I personally wasn’t a fan of this approach, both because of the texture and because I didn’t feel full. Then again, over the past few months I’ve come to realize that cereal generally doesn’t do it for me, even epic, calorie-dense bowls. So instead of using it “as directed,” I got creative! My favorite way to use Qi’a on top of a bowl of either oatmeal or coconut milk yogurt, nuts/nut butter, and fruit. <–or sometimes pumpkin, cinnamon, vanilla, and maple syrup…what can I say? It was fall! One of the few dairy items I really miss is Greek yogurt, so from time-to-time I splurge on its non-dairy counterpart…and make bowls of deliciousness. Unfortunately, I’ve fond the nondairy version doesn’t keep me full quite as well as the Greek one did. Enter Qi’a. With its added boost of protein and fiber, I noticed myself feeling much fuller and more satisfied than if I had used, say, regular ole’ granola. Because all yogurt bowls, diary or otherwise, need something crunchy on top! 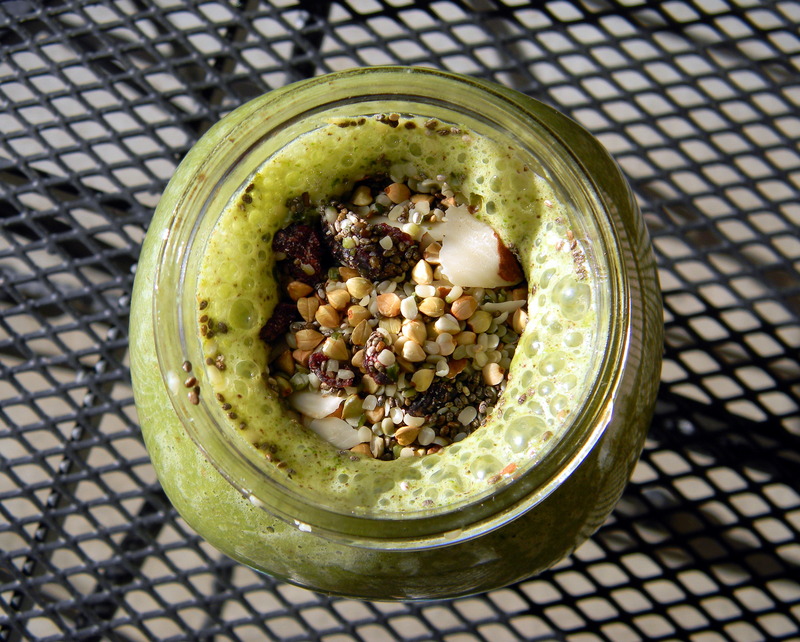 I also topped a couple of green smoothies with it. This would have been awesome had I been eating said smoothie out of a bowl…with a spoon. Because the flavor was phenomenal. Just not while trying to drink out of a mason jar while driving to a different state. Thankfully there was traffic so I could dig out the chunks of nutrition- and flavor-packed goodness. 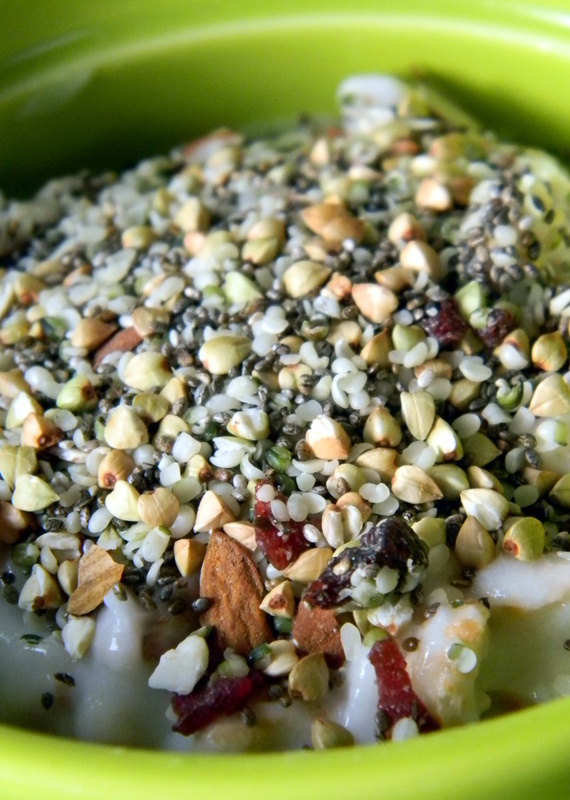 At the end of the day, I would highly recommend Qi’a as a cereal/oatmeal/yogurt bowl/green smoothie topper. Its heartier and healthier than most granola and adds great texture (read: crunch) + nutrition. I can also see how awesome it would be on its own for my friends who aren’t super hungry in the morning. 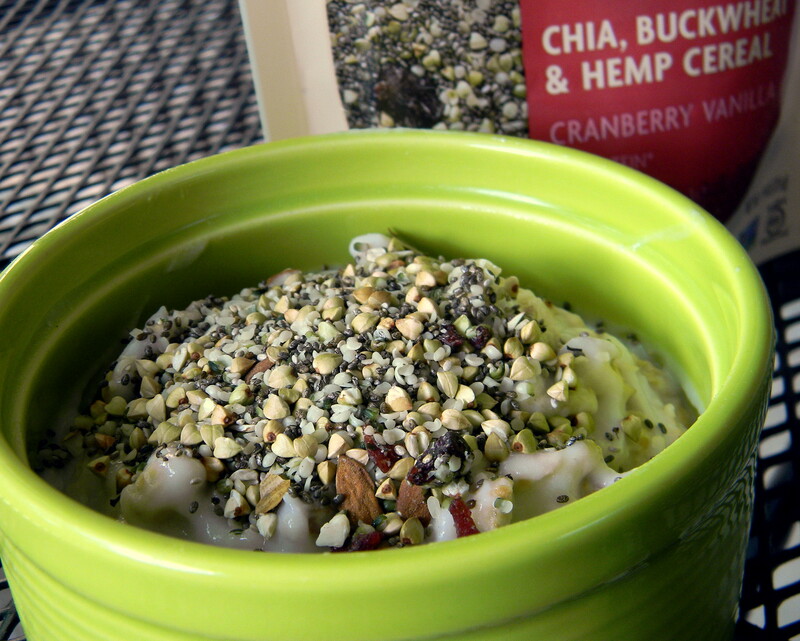 *coughAmandacough* Or as a quick snack before or after workouts (or just because its delicious) to those who love the texture of chia gels and puddings. Despite the fact that these latter uses weren’t for me, I had a ton of fun finding new ways to incorporate Qi’a into my diet! This awesome product Qi’a can be found at some natural food grocers. In addition, you can buy it online here, here, or here. What do you think: is this a product you’d love to try? 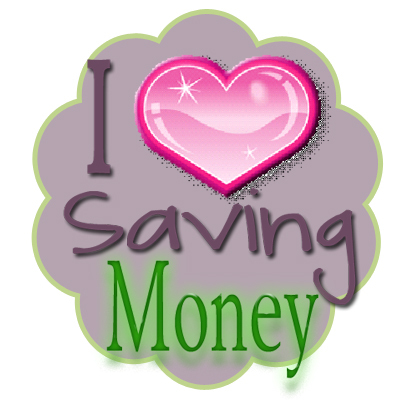 Hello loves and welcome to what is officially Money Saving Mondays! Now that Project: Food Budget is officially over, I’ve decided to do a quick couponing-esque write-up every Monday. I’ll share savings and spending and my favorite deals. Every now and then there will be a food-tastic giveaway (I’m waiting on an amazing package to come in tehehe) along with a Company of the Week. As tips come up, I’ll post them. And I’ll continue to share foodie photos as well. I have a $200/month budget for groceries, including food, toiletries, and household items. So most of the deals I got were “end of the month” deals aka the coupons expired yesterday and are therefore of no use to anyone else. Sorry about that. 😦 However, I would highly suggest clipping the Arrowhead Mills coupons here and here and getting yourself some free corn/rice/kamut puffs since they are only $1.99. And great mixed in with coconut milk yogurt, peanut butter, pumpkin, and an excessive just the right amount of pumpkin pie spice. That’s it for this week. Wednesday I’m sharing some of my new favorites…many of which I got on super sale on a whim and ended up falling in love with. Cheers to that.